Andreas Andersson & Vincent Rydell – Exclusive mix for bejbi.se. The 29:th of our series of exclusive mixes..
Click ”see the rest of this entry” to read more about Andreas Andersson & Vincent Rydell and to download the mix. Andreas Andersson and Vincent Rydell goes back a long time. They got into the underground scene in Stockholm back in 1999 when they started working at the legendary underground venue Docklands. Since then they have been devoted to electronic music in general and tech-house/techno in especially. Both of them have been spinning tracks for a long time now but it was in 2009 they decided trying to play together back to back. They soon discovered that it worked perfect at gigs since their style is very similar. 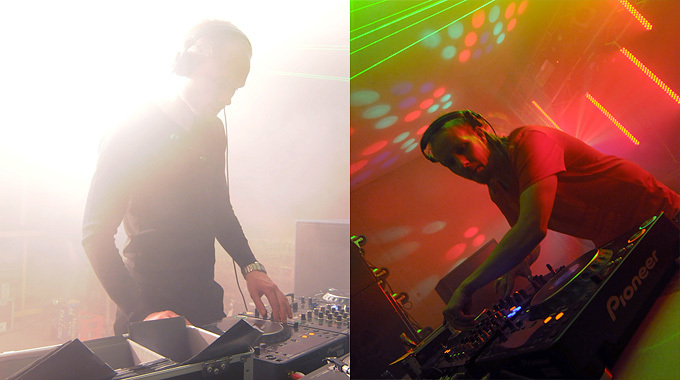 With the start of 420 Group the same year, which Andreas and Vincent co-founded with near friend Martin (DJ Martizz), gigs were starting coming their way. Andreas and Vincent are today regular DJ names in the Stockholm underground scene with residency at the 420 events, Stockholm Underground and Union they have made a name for themselves. Their music style varies from house, tech-house to techno. Everything with a funky vibe! Since their start they have played alongside djs like Spektre, Cristian Varela, Funk D’Void, Butch, Sian and Nihad Tule to name a few. In 2011 they have plans to expand their CV from promoters and DJs to also include producers. With a lot if time spent in the studio you can be sure to hear a lot more of these guys in the future. Now they are the 29:th out for a series of exclusive mixes recorded for bejbi.se by our favorite dj´s, both well known, and unknown, that we will publish once a week untill we run dry. Download Andreas Andersson & Vincent Rydells Exclusive mix here (right click and save as) or listen to it live on Soundcloud or just press play below here. If you want more of Andreas Andersson & Vincent Rydell, check out Vincents Soundcloud soundcloud.com/vincent-rydell or their homepage for more info.